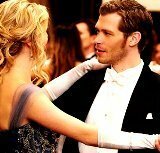 Do you want to join the 'Klaus&Charlotte Petrova' spot? best make-up?? (not the best picture)comment why?? Which Bonnie would you prefer? Who Is the Hottest Guy from The Vampire Diaries? Out of this two songs, which one do you think fits better to TVD?